The World's Largest Underwater Restaurant Is Now Open, But Can You Get A Reservation? After much fanfare, restaurant Under had its soft opening this week, attracting gastronomic elites to the remote Lindesnes municipality in the southern tip of Norway for its grand debut. Along with claiming bragging rights to being the world's largest underwater restaurant—it has a seating capacity of 100—Under is also the first of its kind for Europe. In Norwegian, Under means both wonder and below. 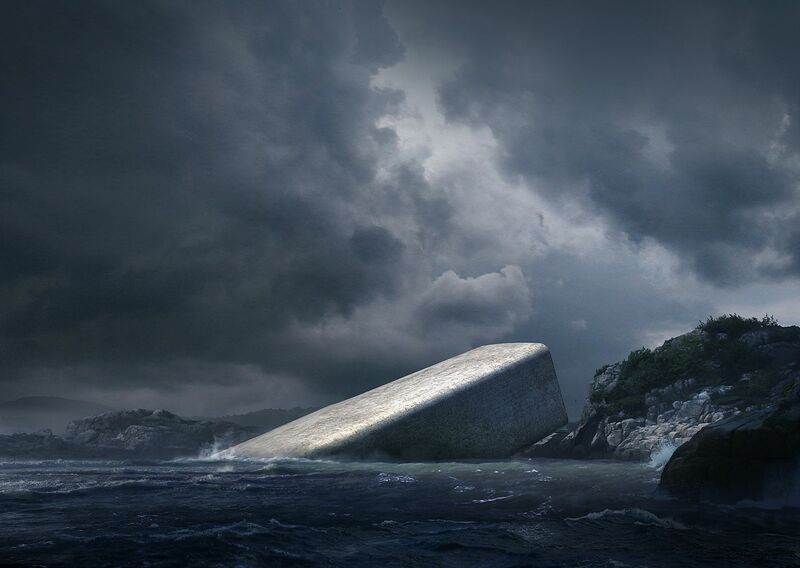 Designed to appear as though it tipped over and sank into the sea, the restaurant is built semi-submerged into the water, with the other end of the structure resting nearly six meters below the surface on the ocean floor. The structure was designed by Snøhetta, which has also worked on projects like the Norwegian National Opera and Ballet and the reconstruction of Times Square, which was completed in 2017. After entering the building on terra firma, guests make the journey from land to undersea via an oak-clad staircase and dark passageway—no diving suit required. In the kitchen, chef Nicolai Ellitsgaard oversees the marathon 18-course Immersion menu which focuses on seasonal Norwegian ingredients local to the area—sea arrow brass, sea rocket, salty sea kale, wild mushrooms and berries foraged off the beaches. And while seafood will be the main attraction throughout the meal, the menu will also feature seabirds and lamb. Wall to wall windows provide a lens to the underwater world: During the three-hour dining experience, guests may receive visits from pollack, cod, urchins, crabs, lobsters and mini sharks. Eventually, the underwater structure will transform into an artificial reef for limpets and kelp. A dining experience at Under is about NOK 3,700 or US$440.